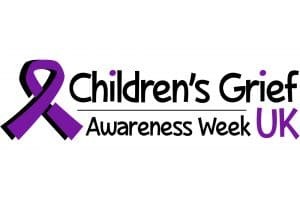 Children’s Grief Awareness Week is about raising awareness of the need of those affected by the loss of a parent or sibling and emphasising the free, professional support available. Here’s why it’s important to our team. Sadly the loss of a parent or sibling is not as rare as you might think. 1 in 29 school age children in the UK have been bereaved of a parent or sibling and 24,000 parents die each year, leaving dependent children behind. It is crucial that both children and parents appreciate there are others out there who have been through similar experiences. In many areas, children and parents can meet others through local bereavement services. They can share stories, make a connection and help each other to cope. To raise awareness of this, Children’s Grief Awareness Week 2017 was launched by the Childhood Bereavement Network, the UK body for support groups in the grief and bereavement sector, and Grief Encounter, one of the UK’s leading bereavement charities. The awareness week runs from the 16 – 22 November 2017. We hope that you will join us in supporting Children’s Grief Awareness Week and the charitable organisations that provide so much to those experiencing grief. Throughout the year charities work to offer free and professional support, and it’s raising awareness of these that’s important. Resources include websites, telephone help lines and face-to-face support groups. We often work with families where a parent has died and we know all too well how devastating such a loss can be. We will be joining in this initiative to spread awareness of the support that is available, and hope that you will do the same. We know that nothing can ever make up for the loss of a loved one. However, if you think that substandard medical care may have played a part in their death, then we may be able to help. We have extensive experience in dealing with these situations sensitively and will be happy to talk through any concerns you may have. We know that a financial settlement is rarely the priority when a loved one dies but if the death means that there is a financial loss – for example if the deceased contributed to the household income or cared for children – then you may wish to bring a claim to remedy any financial loss.